When you are insulating two-by-four (2x4) and two-by-six (2x6) framed exterior walls and want to use fiberglass insulation, what thickness should you use? This is a critical question. Adding too little insulation means a colder house. Adding too much insulation means insulation that isn't properly doing its job, thus a colder house. The permanent nature of wall insulation compounds the problem: once the insulation is in, it's in there forever. Or at least, the insulation is there for years until the next time the drywall is torn out. Thermodynamics tell us that the air pockets created within the insulation are what help keep a home toasty and warm, not the actual strands of fiberglass. Striking a perfect balance between too little insulation and too much insulation will keep you and your family warm throughout the winter. In most applications, you will use R-13 or R-15 kraft-faced fiberglass insulation rolls for two-by-four stud walls. While rated differently, these two types of insulation are close enough in thickness that they can both fit into two-by-four wall systems. Use R-19 or R-21 kraft-faced fiberglass insulation for two-by-six walls. This type of pairing ensures that the insulation is neither too loose nor too tightly packed within the walls. Fiberglass insulation works partly by trapping air pockets within the insulation. If you cram too much insulation into a wall that is too thin, you reduce the insulation's air pockets. This is one of the misconceptions about fiberglass insulation. Homeowners who have purchased the wrong insulation may stuff R-19 insulation into a thin wall rather than return the purchase to the store. This is another reason why sprayed or rigid foam insulation works well: millions of tiny air pockets are basically pre-installed in the insulation and they cannot be forced away. Thus, it is pointless or even counter-productive to put R-19 into a two-by-four wall, for example. You run into problems if you live in a cold climate where your R-value needs exceed the space you have available in your wall cavity. R-19 insulation only works when it is installed in an appropriately sized wall; that is, one that allows the insulation to expand enough to create air pockets that trap warm air. Blown-in cellulose wall insulation is generally considered to be a less effective way of insulating walls when compared to rolled fiberglass insulation installed between wall studs. Cellulose insulation does not fit the wall cavities as adequately as fiberglass insulation does. Add thick insulation batts to the attic. Batts are long strips of unrolled and unfaced fiberglass insulation. Installing attic insulation is one of the most valuable things you can do to save energy and keep your home warmer. Seal up door and window cracks with caulk. Cold air seeping into your home has a detrimental effect on your home's heat envelope. If you plan to install new siding on your house, add exterior wall sheathing beneath the new siding. Sheathing can help boost your walls by as much as an extra R-6 level. Add storm windows at the beginning of each cold weather season to the front of your existing windows. Replace your windows. Your current windows may have already lost the insulating argon or krypton gas between their panes. Replacement of the entire window is the best way to fix this problem. 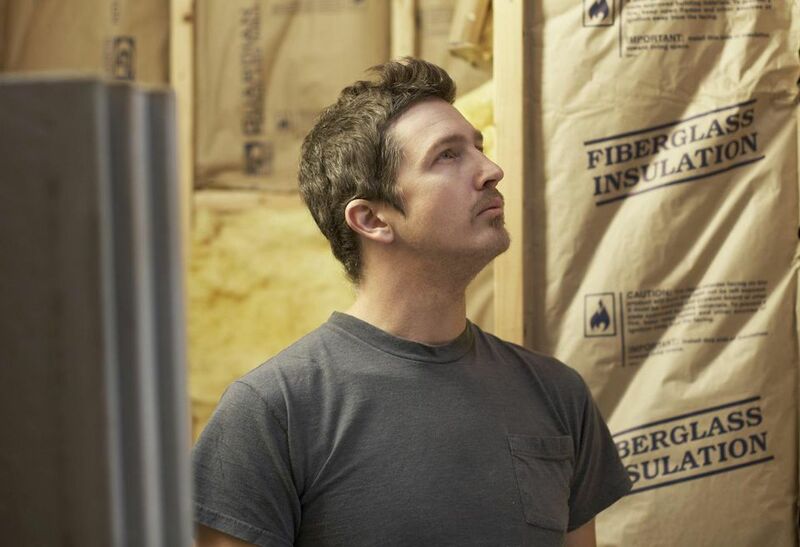 Finally, if all other methods are not helping, you may need to eventually take down the interior drywall to re-insulate. Often, you may have insulation in the walls, but the insulation has become moldy and damp over the years, greatly reducing its effectiveness. Remove and dispose of that old insulation and install new insulation. Do this in conjunction with fixing exterior wall problems that caused the dampness in the first place.